On Saturday the herald reported the cost of the City Rail Link might have increased. The cost of Auckland’s City Rail Link – New Zealand’s largest ever transport project – has blown out by $500 million, according to sources. A senior council officer told the Weekend Heraldthat revised estimates for the $3.4 billion project have increased by $500m and “there are fears it is going to be over $1 billion” by the time the main contracts are awarded this year. Two other sources confirmed the $500m figure. Future proofing the stations to allow for 9-car trains, a 50% increase in capacity. Allowing for a much needed station entrance at Beresford Square for the Karangahape station. The cost of these changes were estimated at $100 for just future proofing with higher costs to come back and build later or $300 million to build them as part of the project. Over the long term it rea cheaper to build it all now. Auckland is in the middle of a massive construction boom and that has put pressure on construction prices. The herald article even notes inflation in construction costs us running at 7-8% per year at the moment. On top of local cost pressures, tunneling requires a number of specialised roles and I understand there is a lot of international demand for them too. I do wonder what the cost would be if the previous government hasn’t spent years dismissing the project – although there was a lot of design and consenting work needed so it’s not like we could have started back in say 2013. Also, it’s only because it’s taken so long and we’ve seen the massive success that electrification has been that officials were finally convinced of the need to improve the design as described earlier. On the positive side, one thing that may help the overall cost was a recent announcement that contract to fit out the tunnels with tracks, signals etc would now be integrated into the contract to build the tunnels. This should help make the delivery more efficient and hopefully cheaper as the previous plan would have created some potentially tricky interactions between contractors. This potential cost increase also highlights another issue. Given this year is also a local body election year, we’re bound to see some candidates campaigning on cutting rates and/or the regional fuel tax. The agreement between the council and government to build the CRL is that each pay 50% of the project costs. This means the council may be having to find hundreds of millions extra for their share. Candidates will need to explain how they will fund this as well as all of the other much needed transport projects that Auckland needs. The regional fuel tax for example raises about $1.5 billion in revenue but unlocks about $4.3 billion in spending thanks to the NZTA contribution it enables. The winner of the main works tender is due to be announced in April. 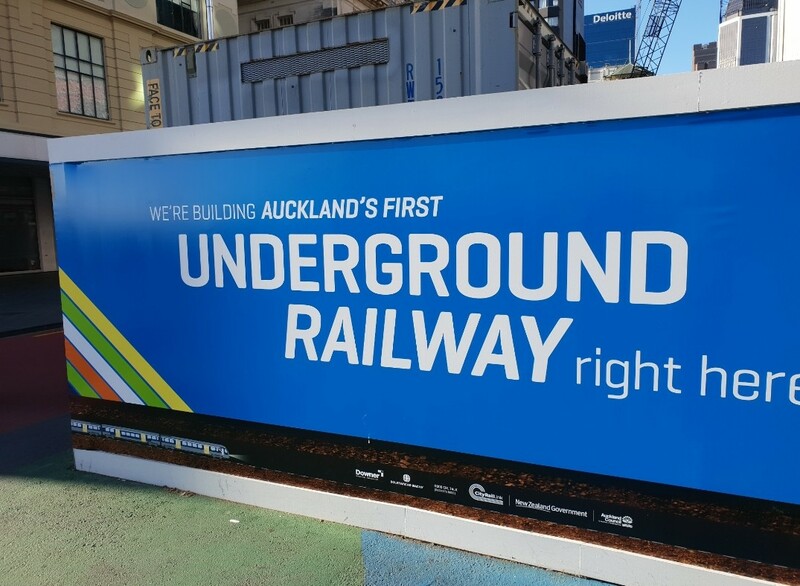 While we’re in the topic of the CRL, it’s good to see they’ve improved some of their communications about it with some new hoardings around Britomart. I think it’s still a bit too focused on the CRL route only and not the benefit it provides the entire network but it’s at least clearer and easier to understand. I particularly like that last one showing the capacity of the project. Cost over-runs happen, especially if the project is being designed on the hop and costed on incomplete sets of drawings. The extension to the Jubilee Line in London was let in about 1992 at a provisional cost of 1.9 billion pounds, from memory, but the final cost in 2001 when it was all complete would have been way higher. Still, I don’t think there would be anyone in London now who doubts that this was a good thing, as the Jubilee Line has unleashed a boom in prosperity for everyone who lives near, or works near, a Jubilee Line station – and indeed, the whole of London. It also allowed consolidation of housing around existing, inaccessible suburbs, rather than just continuing to spread out into the surrounding countryside. Same thing will happen for CRL. 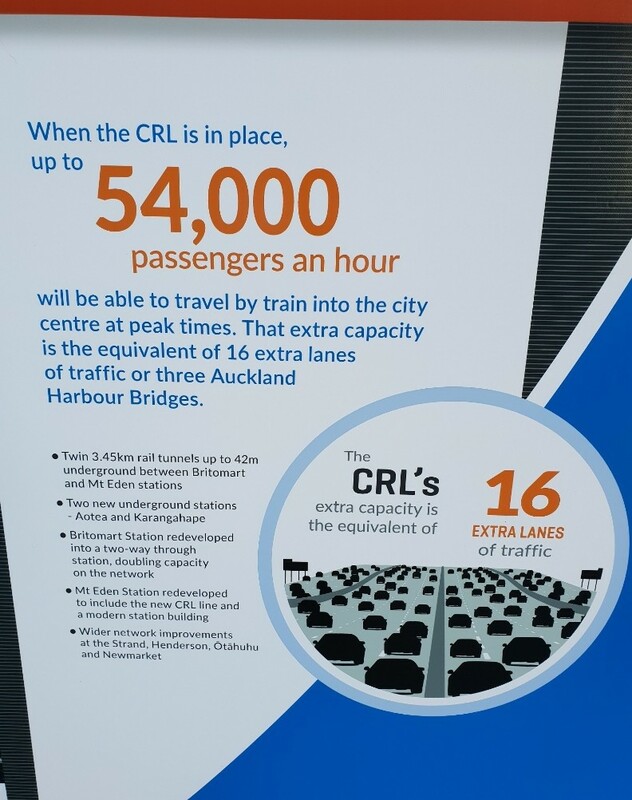 There will be some wailing and gnashing of teeth by the Nats, and by whatever remains of ACT, but overall, I think we all know that things will work out better for Auckland with the CRL in place. Heck, even us lot from South of the Bombay Hills want you to hurry up and complete it. Jolly Good! Carry On ! The final cost shown in the Jubilee Line extension Wikipedia article is £3.5 billlion. When the Isle-of-Dogs / Canary Wharf redevelopment was going ahead in the early1980’s, controversy broke out over whether the development could be adequately served by the proposed Docklands Light Railway or whether the Underground should be extended for the purpose. The DLR promoters won the debate at the time and the DLR light-metro system progressed with plans shelved to involve the Underground. However, good though the DLR was, it soon became apparent that far more capacity would be needed. Hence the Jubilee Line extension being built in the 1990s with a single major station on the Isle-of-Dogs at canary Wharf. Happily the area has ended up with both the surface/elevated DLR and the underground connection. Being an extension of established underground lines, the Jubilee Line provides easy access to a much greater range of city-destinations than the DLR which is a self-contained system serving only East London. A warning for those inclined to over-promise on light rail as being an acceptable alternative to extending established heavy metro services. And without the DLR, Docklands development may not have happened at the speed it did or to the extent it did. (And thus may have not justified Tube extension). High capacity, high capacity, high cost heavy rail is not always a good first choice (or necessary at all). Depends on corridor, population, population distribution, supporting transport network, etc etc. No one mode is best all the time in all situations. It wasn’t really a debate about light rail or the tube. Light rail was originally proposed to serve a residential redevelopment of the Docklands area and it would have been adequate for that task. But Thatcher had other ideas. She created the London Docklands Development Corporation and removed planning limits. The Thatcher government also insisted at that time that all the options considered were variations of cheaper light rail rather than the tube extension. Plenty of people said it wouldn’t be enough including many who originally worked on the light rail proposal. Eventually the planning failures were fixed by building a hellishly expensive tube extension and the Limehouse Link, an improbably expensive road. The lesson there isn’t to skip light rail and only extend heavy rail. The lesson is to make sure your light rail network has broad coverage and capacity and connections. In Auckland’s case, that means you don’t limit it to short isthmus routes replacing buses. You go all the way to the airport, way out west, right through the north shore and deep into the neglected east. Sounds familiar. Typical NZ, unable to deliver any major projects on time and on budget. And yet people float ideas about a waterfront stadium partially sunken into the seabed. We need an inquiry into the construction industry here. Initial estimates being well under the true cost is certainly not something unique to NZ. 1. Cost blowout/delay on Auckland Convention Centre. 2. Same for virtually every major rebuild project in Chch. 4. New expressways, major issues with waterproofing after being open for two-weeks. 5. Melting roads – other places far hotter than NZ manage to build roads that don’t melt. 6. Likely CRL cost blowouts. Would it be an inquiry to cover all those topics, MrV? Into the operation of the construction sector generally. It seems to be commonly acknowledged there are many issues, – material costs would be another one. At some fundamental level these issues appear to be systemic and should be investigated as a whole. Mr V – we already have quite a lot of enquiries going on at present. Not sure that they have achieved a whole lot, as of yet. But if you want to pay me up front, I think I can adequately lay my finger on the offending issues….. Number One issue: inadequate pricing, caused by incomplete documentation. Get designers in from Holland and Denmark to design our cycleways. Get designers in from Spain and Korea to design our railways. Get contractors in from Skoda, Alstom, Bombardier etc, to specify and detail the LR systems. Number Three issue: people winning jobs by under-pricing projects, and clawing back increases later. It’s rife in the industry. And it is the big, respectable players who are just as guilty as the smaller ones. There, Mr V, I’ve just saved you about $20 million. Cash up front please. It is better for everybody if we build it to the proper capacity right at the beginning, even at substantial extra cost, because long term taking everything into account, the extra cost won’t really matter. It is of considerable regret that National when in Government were not really very smart in their perception of the best solution for Auckland’s transport needs. They will have to do much better next time they are in Government. Not arguing on the planned capacity. But every extra dollar spent on a mismanaged project (whatever the reason) is a dollar not available to build that additional capacity. For example if this project blows out by $1B, lets be generous and say $500million of which is ‘justifiable’, that is still $500 million that can’t be spent on extra rail line, extending electrification etc etc. Not sure there is evidence of mismanagement here. In fact if anything it seems to be improving and outcomes and getting more streamlined as time goes on. Certainly the reintegration of C3 and C7 looks very much like an improvement from the outside. If this turns out to be the actual cost, given both the increases in scope and inflation in the sector, it looks rather much better than might have been reasonably feared. One very good thing is that it doesn’t seem to be subject to any artificial politically driven timetables and design decisions of the kinds that bedevil Australian projects. May that continue in big transport projects here. I think there is certainly one major CRL issue that points directly to gross mismanagement. I just looks incredulous that this project has one tunnel section completed some five years before any of the rest of the CRL is complete. Were there not properly experienced and qualified operations research people involved in the planning of the CRL? So that some parallel construction of various parts could be underway to deliver this project sooner by identifying where the critical development/construction path was needed. This current development schedule looks like an effort to stretch out the work as long as possible to retain CRLL jobs. More Foamer conspiracy theorising, where as is actually just a gap between Enabling Works and the main contract…. We all want to be open asap, but is a century-plus life piece of kit; best to do it well than in panic. No conspiracy theory here, I just state the fact there is a 5 year wait between stages. This does not seem normal. Why were station boxes excavation not started same time as Albert St tunnel? Or is just asking this somehow indicative of a conspiracy? Or pointing out poor planning? What is a foamer conspiracy theory? Is this to do with foam on top of an ice cold beer? If that’s the biggest concern with this project then I’d suggest things are going very well. The reason for the gap has been well explained in the past and involves no mis-management, just getting on with a much less complex part of the project to allow the Commercial Bay development to get underway. If this hadn’t happened the project would not have begun yet, it has no impact on final timelines. You’ve asked this half a dozen times and been answered every single time. Let’s have one more crack and see if you can understand it. Someone was proposing to build a massive building in the path of the CRL immediately. At that stage the CRL was unfunded and the final design was unconfirmed. The council agreed to fund that section only and accelerate the design of that section only. The constraints through that section were so great that the design was effectively done by dodging the foundations of skyscrapers. Council funded and accelerated one section so as to not have to come back in 5 years and build a tunnel through the foundation of a recently finished office block. This probably saved around half a billion dollars. Sailor boy, I asked the same question many times as to why the construction of station boxes did not commence when the Albert St tunnels were started. The only repeated answers were that early construction of Albert tunnels was necessary because developers wanted to proceed with Mercury Bay tower construction. I understood that and don’t need you to repeat it. It still did not explain why the other parts of CRL such as station boxes could not commence in parallel with Albert St tunnels. Given that the Aotea station box is an integral part of the tunneling process it doesn’t make a lot of sense to have it excavated along with the other enabling works only to have a large hole in the CBD for eight years. Better to have the hole for only 3-4 years. Simple Bogle: Council didn’t have the money to pay for more of the project at the same time (remember the near riot conditions over rated rises? ), and Steven Joyce and the rest of the Nat cabinet refused to fund it early. Yes it did, you just didn’t like the answer. There was no money and the design wasn’t finished. Other than the already mentioned need to build the Commercial Bay section first, and also have some of the other downtown works projects completed around the same time (a lot of work has gone into sequencing city centre works), there are a few reasons why the station boxes weren’t dug. 1. They need the Aotea box available to pull out the tunnelling machine (twice). Digging it before now would mean it’s just sitting there for years. 2. They have conditions in the resource consent about how much disruption there can be at any one time. 3. In order to get the early works done on time they had to focus all the detailed design effort on the bits currently underway. Once that was done they could then focus on the design for the rest of the tunnel, including the stations. Including the station boxes may have delayed the current works for no benefit to the overall project. 4. The council payed for the early works fully as at the time the government hadn’t agreed to fund the project till after 2020. The council’s finances are already strained without needing to spend more on something that wasn’t needed yet. From mid-February, work will begin to remove the canopies from buildings located along the eastern side of Albert Street between Wellesley and Victoria Streets, as part of preparations for building City Rail Link’s Aotea Station. This impacts the Auckland Council building, SkyCity, Manhattan apartments and the AA building, SkyCity’s entire canopy needs to be removed but only partial canopy removal is required on the other three buildings. The initial works include the relocation of signs, CCTV cameras, sprinklers and power connections. This will be followed by the removal of any glass panels and the cutting and dismantling of the canopy structures. The work will be undertaken by contractor Connectus Joint Venture and is expected to be completed by October 2019. The scheduled hours of work are 7am to 7pm, Monday to Saturday. From Friday 1 February, Albert Street will be reduced to one lane in each direction between Victoria Street and Wellesley Street as Connectus prepares the work site. Pedestrian movements and access to all buildings will be maintained. However, while these works are underway, north-bound vehicles on Albert Street will be unable to make right-hand turns into Crowne Plaza and south-bound vehicles will be unable to make right-hand turns into the SkyCity carpark (see detour maps attached). Pedestrian walkways will be shifted away from the building and will be protected by traffic barriers and hoardings. Signage and site personnel will be provided to direct traffic and pedestrians. While there will be some noise associated with this work, it is not expected to be particularly loud or disruptive. Why do the canopies need to be removed? The canopies must be removed to enable access for a large piling rig to install piles of more than 20 metres in length. These underground piles will provide temporary ground support while the new Aotea Station is constructed. $500 million on a $3.5 Billion project based off 2014 pricing is not really a huge surprise given it likely includes some of the mentioned variations…. My prediction, LRT will be built, but only as far as Inner Suburbs/Dominion Rd, i.e. not all the way to the airport. Airport will be left to be serviced by a heavy rail connection. But the big question will be about the promised Nwestern line? Otherwise no LR means we have nothing apart from a potential investment in paint and maybe raised road tables to create bus priority lanes everywhere out NW. I would imagine that sending a freight train through the electrified section of the NAL during peak hour would cause major timetabling issues, let alone having it stop at Newmarket to let of passengers. In reply to Bogle – work on the cut and cover section had to be accelerated well ahead of the rest of the project because the developers of what is now known as the Commercial Bay tower informed the old City Council a decade ago that they were planning to build directly in the path of the proposed tunnels linking Britomart to Albert Street. Although the work on both the twin tunnels and the tower are only happening now, key decisions about how the two projects could co-exist had to be made in 2009-2010, long before the government finally caved and agreed to half-fund the CRL. The earliest discussions were confidential (I was privy as a Councillor at the time) but the decision has been public knowledge for many years. If the National government had moved much sooner the main contract for the CRL would be well underway by now (possibly nearing completion). 20 years ago a very similar thing happened with Britomart where construction of the access tunnel had to be started in 2000 – over a year and a half before design and funding of the station itself got sorted in late 2001, and two years before construction began in 2002. The reason was very similar – Ngati Whatua had just been given most of the old railway station yards as part of their treaty settlement and were very keen to start development – including new buildings above the only logical route for trains to access the new underground station. It was a near run thing as the newly elected Banksy tried his best to cancel the Britomart contract (which would have left us with a “tunnel to nowhere”), but fortunately was unable to do so. So the timing gap is not a case of mis-management (gross or otherwise) – just another illustration of how unforeseen actions by third parties can bend a major project out of shape. 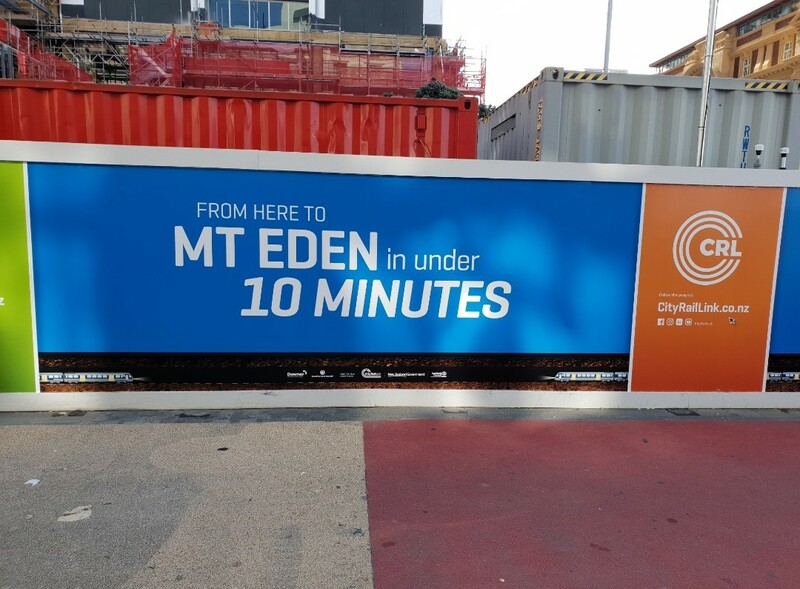 Graeme, thanks for that timeline information, it certainly explains why we have the situation now with CRL construction schedule. Agree, I think LR is where this issue will come to a head. More likely it will result in construction timelines being extended. I assume you mean BRT (Puhinui) and HR connection. HR all the way cost twice a much as LRT. Could be. Yet it’s the roads in the Supporting Growth packages that will work against the modeshift that both the CRL and the LR are attempting to achieve. If we’re wanting good outcomes, it is those road projects that should be stopped, not an extension of the LR timelines. Ye of little faith – LR timelines extended? But that cannot happen since Twyford says it’ll all be up and running in the 10 years from his announcement in early 2018. And what he says goes, right? I don’t think many projects are completed in the timeline suggested when they are first proposed by politicians. The success of the LR projects will that they are built and move large numbers of people, not whether they are finished in 2028 or 2032. LRT sounds easier to cost though doesn’t it? I mean it’s not really much different to building a road which NZTA should be pretty good at costing. I wonder if NZTA is/should ask AT to do some of the sideline work prior to get the headline cost down. For example by putting double decker buses down dominion a lot of the veranda work etc won’t be part of LRT cost. Maybe they could even pedestrianise queen street now in a way where they just need to bolt the tracks in later, get that cost out of the project. ” Candidates will need to explain how they will fund this as well as all of the other much needed transport projects that Auckland needs. The regional fuel tax for example raises about $1.5 billion in revenue but unlocks about $4.3 billion in spending thanks to the NZTA contribution it enables”. Any candidate who does this will gain voters. Why chop some money off the budget, when doing so will “lose” “free” investment from the Government? Imagine what the East-West link would have ended up costing if it were done as directed by the National led government. Have they shifted the base year for costing? I recall reading here that it was originally set in the future, inflating the headline figures compared with other projects like the RONs. I thought it was going to be ready by 2021, is the 2024 a typo? In about 2010 it was possible to open the CRL in 2021. Due to National’s dithering in funding, the earliest possible opening is 2023 with project completion in 2024. However, we will likely not see services running until 2024. Britomart Station, Lower Queen Street, and Albert Street north of Victoria should fully reopen in 2021. With a number of prominent candidates for mayor already in the race, is vote splitting a concern? When will the STV option next be available for Auckland Council elections? When the old Post Office was gutted and renovated for the the Britomart station. That was supposed to be future proofed ready for a twin rail lines to extend to wards the direction of QE2 square. That seems to have been wasted as major works was done on the main station building ..again.. as well as the connections for the new tunnels. Im not up with all the details but the whole main block was “lifted” at huge cost. Im sure the public will be totally unaware of the before and after. Thats the trouble with future proofing…. personal preferences come into it, and it has to done all over again. 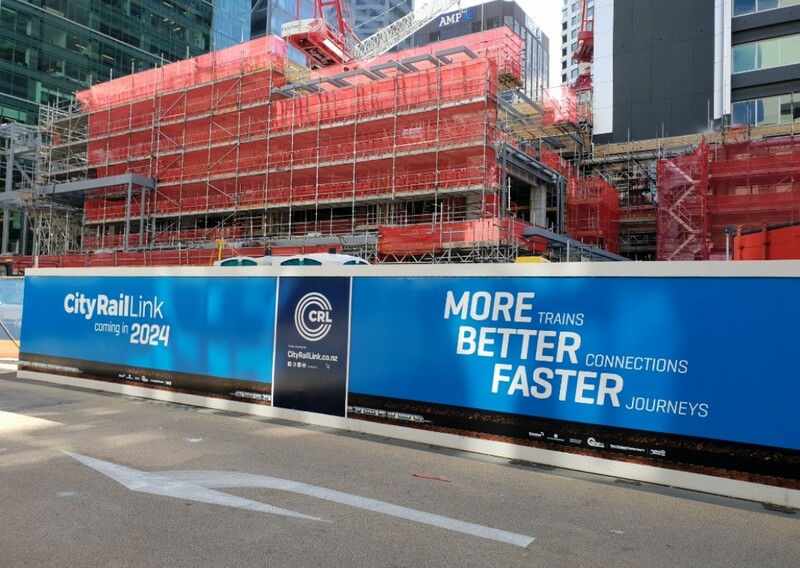 Not sure where you have got your information from, but AFAIK, the old GPO building was never futureproofed for CRL as part of the original Britomart station work. Not quite. The original Britomart design was future proofed for light rail ramps up to QEII square. An earlier version of the plan involved converting the western line to light rail. There was no pre work for heavy rail extensions. Also ‘future proof’ doesn’t mean much, it just means not making it impossible to come back later and do a modification. Blind Freddy could have told public transport officials that Britomart needed to be a through station given the line capacity that actually feeds into it. While true, at the time there was a lot of resistance to the project. Any addition to the cost could have killed it and thus all of the progress we have made with rail in the last 16 years. The Old CPO Building was future-proofed for West-facing light rail (not heavy rail) connections. Note that at the time it was designed the prevailing regional strategy (adopted in 2001 by the ARC and its constituent councils) was for the entire suburban rail network to be converted to light rail. The underground station was built with space for a ramp down each side (i.e. running parallel to and north and south of the underground platforms) which would rise about 10 metres to the ground floor of the old building (lowered to street level) and then bend around to the south through QEII Square and run at surface level up the middle of Queen Street and Wellesley Street East, past the Universities, under Symonds Street and across Grafton Gully then past the Hospital before rejoining the Western Line near what is now Grafton Station. However, even before Britomart was completed and opened the light rail concept had been shelved and early investigation of a heavy rail link under Albert Street had begun (which eventually became the CRL). So yes, the CPO was future-proofed in the sense that space was reserved for the two ramps, but nothing was actually built apart from a couple of concrete block walls to conceal the ramp spaces until such time as they were required. I understand the old ASB building (now Council HQ) on Albert St was constructed with an allowance for an underground rail station. Planning for subterranean rail on Albert St must have started earlier? In the times of Mayor Robbie the ASB building on the corner of Queen St and Wellesley st was future proof for the underground system that he wanted to run up Queen St . So in the basement they constructed a proposed entry for something that never happened thanks to a National Gov’t . The improved communications you refer to Matt, don’t seem to have flowed through to the latest issue of the council’s Our Auckland magazine. The ‘Missing Link article on page 22 refers to the cost of the project as being $2.8 Billion. The price hasn’t gone up, it was always going to cost this much. The issue is that some people told everyone it would cost less. That is standard operations for public projects. Len Brown swore black and blue that the project was going to cost $2.8 Billion. Anybody with half a brain knew it would cost a lot more. I suspect it will be closer to $5 B. The thing here that costs the most is the grey stuff called concrete if who ever wins the tender can screw down the supply companies and have them to supply the stuff at a fixed rate with no increase in price , then they should be able to save a fortune . Noway should they pay say $150 a cubic metre for the volume they will supply . Indeed the last point may be partly driving higher construction prices. That is, activity in the construction sector is a response to growth, which affects both the costs and the benefits of the project. My hunch is that when The NZ Transport Agency undertake a post-evaluation of the CRL, we may find that both the costs and the benefits turn-out higher than predicted. Net effect on value of project? Potentially not very much. The thing I’m interested in–and which will affect the benefits–is how quickly AT can utilise the potential capacity/efficiency of 9-car sets. I understand the latter will require some changes to the wider network, such as platform extensions, which would ideally be planned now and programmed to happen soon. Can anyone offer more insight on what we need to do to run 9-car sets? In all seriousness, we need to rebuild basically every non CRL platform along whichever line we choose for 9 car sets. Actually not that bad. All the recently rebuilt main stations are already future proofed for 8-9 car train lengths. I.e. Newmarket, New Lynn, Henderson, Manukau, Panmure, Otahuhu are all good. It’s largely the smaller suburban stations that need major lengthening. Surely a few of those will be constrained and painfully difficult, but the majority will be a fairly simply job of extending the platforms further down the line. That points out the craziness of not buiding nine-car platforms in the CRL, we’ve only been future proofing for it for fifteen years… only to permanently shoot oursleves in the foot? I don’t think too many of those recently rebuilt stations you mention are ideally future proofed for 9 car trains. Newmarket and New Lynn platforms could likely squeeze in 7 cars but extending platforms does not look possible without major track realignment, NM would be difficult if not impossible. NL still major task since it’s in a trench. HN easier in north direction, all the rest of Western stations varying difficulty, those next to level crossings can only extend in one direction and that has problems too eg Avondale curves away under road bridge. Kingsland and Morningside don’t look lengthable. 9 car trains don’t look easy for Western line, 7 maybe. Perhaps purpose built 6/7/8 car trains. Before proposing the CRL be expanded to allow for 9-car trains the CRL team assessed every single station on the network to determine what would need to be done to allow it. Some stations are easy but others more difficult. New Lynn is one of the easiest as the platforms are already around 200m long but parts of them are shut off so it just doesn’t look it. Newmarket is not too difficult. From memory they also worked out that doing about 4 relatively easy ones on the Southern Line could allow for an express service using 9-car trains. +1, that was my immediate thought: do Pukekohe, Papakura, , Manukau, Puhinui, Otahuhu, Newmarket, (Grafton, )and Panmure and run express services Pukekohe to Manukau (and vice versa) with 9 car sets. I’ve heard the same regarding 9-car expresses. Pukekohe to get another island platform and stabling for 3×9-car sets, which will run express to Britomart with stops only at Papakura and Otahuhu. A similar Western programme would need more stops or a crossing scenario at Henderson, Morningside, Mt Eden or Newmarket. I think a 9-car express would need to stop at 2 or 3 more strategic stops to ensure it is filled. It’s a lot to expect Pukekohe, Papakura and Otahuhu to effectively each fill a single 3-car unit even with the popularity of an express. Yes, it would seem like a good idea to stop also at Puhinui and Panmure for connection purposes. The problem, which is not necessarily intuitively obvious, is how these patterns mesh with the all stops and freight services sharing the lines and junctions. These 3 main stations are popular with passengers for location and connections, but they are also the few places where stopping services can be overtaken. To stop and overtake at the same time/place requires the all stops service to wait for as many as 5 minutes, which will be very undesirable. Without modelling the entire network it is virtually impossible to reliably guess the optimum layout of interaction between services, so we’ll probably just have to wait and see what they can deliver. Fast, connected, reliable… Pick any two. Maybe only pick one. This cost “blow out” is nothing in the grand scheme of things & considering the changes to scope & construction cost increases recently it probably has almost actually got cheaper in real terms. $500m on $3.6b. So putting aside construciton cost inflation, that still only a 14% gross increase in cost for a 50% increase in capacity across the network. I’ve worked on big public projects, and one issue is that they never build in cost escalation when they announce prices publicly. As you note in the article, it could be 7 – 8% per year, I’ve seen it be as high as 10% plus. So with a $3.4 billion job, cost escalation alone at 8% is $300 million a year. Plus they have upgraded the design on top of that. So it doesn’t sound like a ‘blow out’ to me. Let me say/rant something that a few people don’t like to hear. 1. AT chose the relatively/almost the deepest alignment(s) for the tunnel(s) and 1 station (used to be 2 stations). So what sort of comparative costs would that be? 2. In order to increase the capacity, instead of taking some seats off the carriage, they decided to add 3 more carriages – so called 9 car arrangement. As a result, each proposed station’s platform has to be lengthened. Additionally, Auckland uses specially made trains which must have two ‘locomotive’/head trains for 3 carriages? in which so called 1st world-class can we find such arrangement? Paris – 6 carriages. Singapore – 6 carriages. Hong Kong 6 carriages. Shanghai – 6 Carriages. And yet, they have more capacity than Auckland’s yellow ‘bullet’. Has anyone challenged AT/asked AT why? A few years ago, when electrification took place, in stead of raising the platform’s height to level with the train’s main floor (which is supposed to be fully above all the wheels), someone chose the current ridiculous train design which has triple steps within each carriage. Such design affects the capacity so much and forces the installation of seats beside the steps. Now, we have so called capacity issues. Yet, in the most world-class cities people call move between carriages. But in Auckland, two locomotives have to kiss each other. This results a longer train and yet lower capacity. 3. For all the money rates payers and tax payers have to spend, it will take 6 minutes from Britomart to KRD Station? come on? what’s the distance would that be? Why is the train so slow? Oh I know why. Because 9 carriages (almost 200m long per train) cannot go too fast when making a shape turn underneath of the Commercial Bay Building. And yet the distance between Aotea and Britomart Stations are less than 1km. So when the train reaches 50km/hour, it has to break. 4. AT has been ‘promoting’ interchanges between different transport mode – mostly between walking and train. Right? How on earth there is no bus stop immediately adjacent to Mt Eden and Karangahape Stations? painting cycleways does not make stations ‘interchangeable’. Everyone cycling to the station does not make the station ‘interchangeable’ too. Interchange shall mean interchange between different public transport modes. e.g. between bus and train; between tram and train. 5. The so called light-rail will compete with the train between Britomart and Aotea; and almost compete with the train all the way to upper Queen Street beyond K’ Road. Why? 6. People shall not be surprised about the cost at all. If the decision makers cannot make any good decision, people shall expect the cost to continue to raise. Because trips between those stations are a trivial part of the reason for both systems. 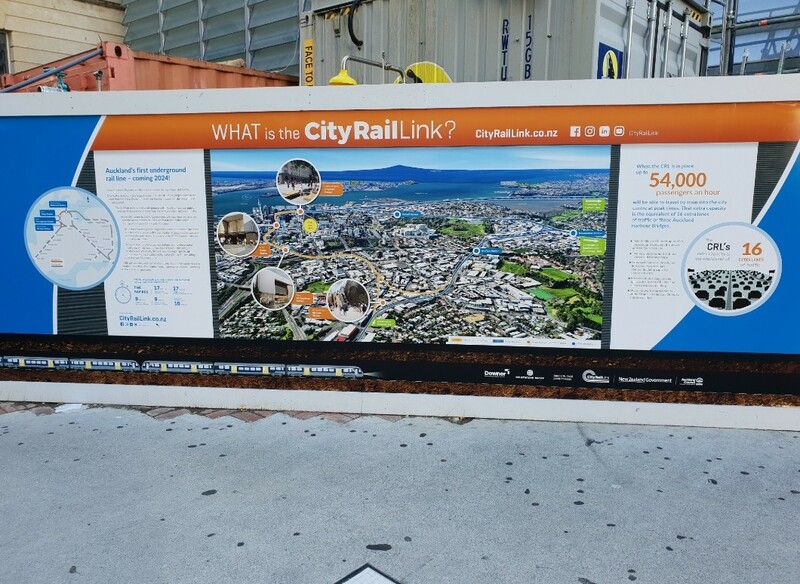 The CRL is about getting people from Pukekohe, Glen Innes, Henderson or other places on the rail network to other places on the rail network, especially in the city centre. Light rail is about getting people from the southwest, northwest, and eventually the north to other stations in those areas and the city centre. They don’t compete to cover the city centre, they cooperate to cover the whole city. Yep. I agree with your contour arguments. It is all about being monocentric. Need I say the ‘advantage’ of it? Oh by the way, two tracks are less 100m apart in the city centre. And they all come to the city centre from the south. Well, it’s not about being monocentric. Auckland has a hybrid model with many secondary and tertiary centres. Several of them were separate towns or cities until they spread out to meet each other. We need lots of lines to link all of these centres. It makes sense for them to funnel through the primary centre. And of course most of the lines come from the south. The city was founded on the end of a peninsula that points north. The only places where the tracks are less than 100m apart is where they cross at New North Road and Customs Street. Of course, it makes sense for the lines to be close as they pass through a centre. We want people to be able to get to the centre of the city regardless of where they come from. And as you said, most of the lines run north to south. We want people to be able to transfer between two north facing and two south facing lines at the relevant end of the city centre. If we are going to have two sets of tracks through the city centre. It makes sense to run them parallel. If we ever end up with three sets, then we would probably better to form them into a triangle (the city connector kind of does this already).